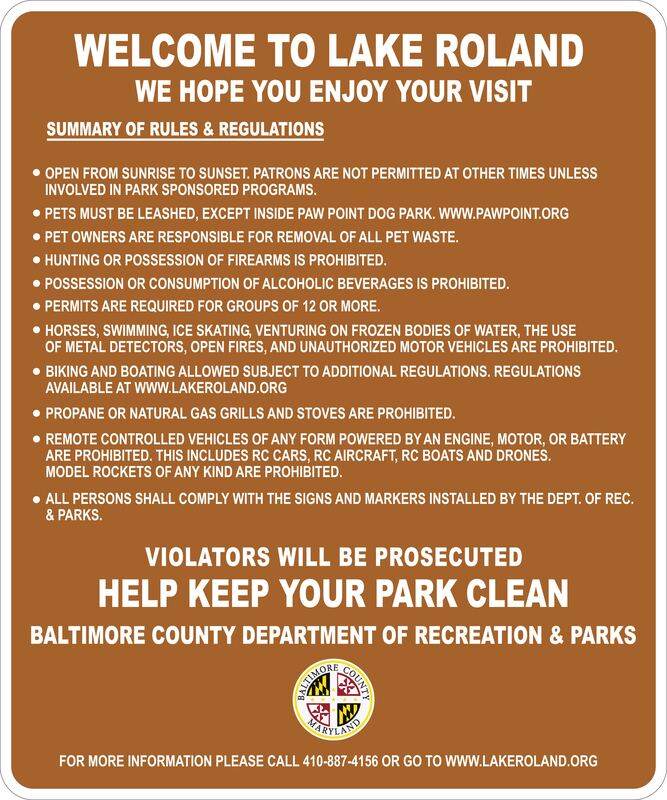 The summary of basic Lake Roland (park) rules and regulations are posted on brown signs at major park entrances. All county laws and regulations apply, including additional park regulations that are not on the sign. 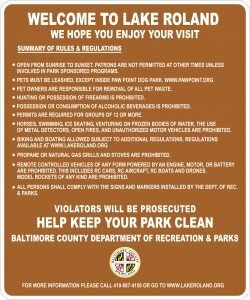 Park rules and regulations. All patrons must depart park property by sunset. All Paw Point dog park patrons must depart Paw Point 15 minutes prior to sunset and depart park property by sunset. The park gates are closed and locked for the evening at sunset. Vehicles locked in the park may be retrieved when the park re-opens the following morning. 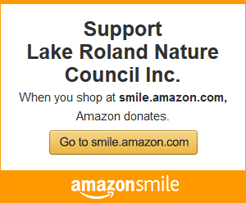 Kayaks and canoes are permitted and encouraged on Lake Roland. PFDs (life jackets) are always required. The launch area is adjacent to the Lakeside Drive parking lot. Complete boating specific regulations (PDF). Because much of the park is an environmentally sensitive area, biking is restricted to the two main trails, paved roads, the boardwalk, and the peninsula. Complete bicycle specific regulations (PDF).